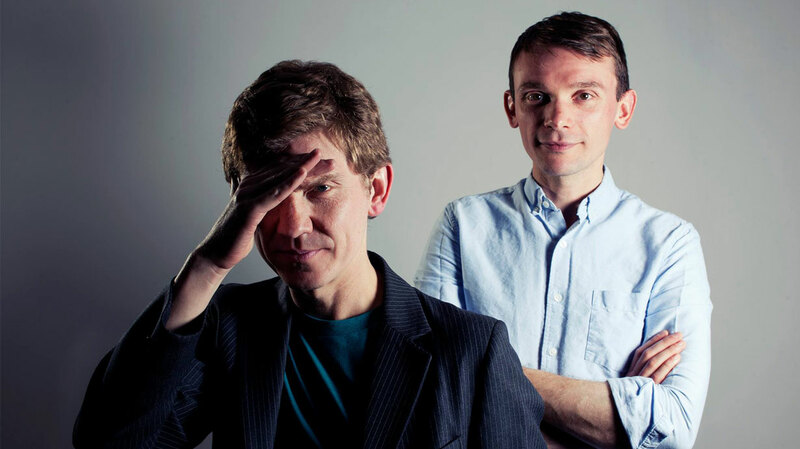 Four years might have passed since Field Music’s last album, but Sunderland’s Brewis brothers have been anything but idle in the interim. We sat down with David from the band to discuss a slew of side projects and collaborations, and to find out more about their excellent new LP, Commontime. It’s been four years since Plumb. Did you intend to take time out from Field Music? Would you describe yourselves as workaholics? Not really. I mean, we both make music for fun, so if we have any free time we’re both desperate to be in the studio. I think we’ve always managed to be a little bit more prolific than the average, because we’re not desperate to be away. We’re too old to just go slogging it round this country and more, playing in small venues. Maybe if we were 10 years younger and a little bit less pernickety we might have done that. When you say pernickety, are you talking about sound quality in venues? You and David work collaboratively on a lot of your side projects. 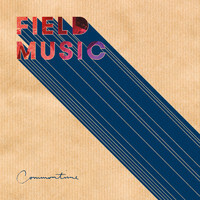 What differentiates that from the writing you do for Field Music? Aside from the instruments you play, do you have complementary skills? Yeah. Peter sings the low/middle range a little bit better, and I sing way up high a little bit better. I’m a little bit more confident with the sound engineering side, whereas Peter’s got more musical training so quicker when it comes to solving problems in the harmony or writing string arrangements. Peter’s a bit more of a perfectionist when it comes to how we play, whereas I’m more keen to do things quickly and spontaneously. We always manage to find a balance, I think, but maybe with this record Peter’s let go of some of the perfectionism. Sonically, was there a goal for Commontime? We both felt that we would like to do some songs with choruses that our kids might like. I mean, through the history of Field Music, there aren’t that many songs where the chorus sticks out, partly because we’re inspired by bands like Roxy Music. You know, on the first two Roxy Music albums there’s not much in the way of choruses. And we liked the idea that a hook wasn’t just something you repeated. So if you think about ‘Virginia Plain’, there are two hooks: right at the end where he says, “What’s your name, Virginia Plain”, and then, “We’re all flying down to Rio.” Pretty catchy, but he only does that once. But with this, we’d been listening to Queen, and Hall & Oates, and Young Americans by Bowie, and Sly & the Family Stone. The first song I brought in was ‘It’s A Good Thing’, and it’s a riff and a chorus, basically. Peter had a little period – well, he’s still going through the period – where his son insists on certain songs to be played in the van. While we were recording this album, he had a period where the song ‘Young Americans’ was on 20, 30 times in a row. And his son, who’s coming up to three, can sing most of Sgt. Pepper’s which is quite bizarre. You can definitely hear that pop focus on songs like ‘Disappointed’. Yeah, the chorus says what the song’s about. We’ve always resisted that in the past, but that comes from Sly & the Family Stone. You can surmise every song just by what it says in the chorus; there’s no twist and I kind-of like that. And it’s a nice experiment for us; a very obtuse, abstract experiment for a band like us to have real choruses. Pop songs can be quite strict in structure. Was that a challenge? Do you find you’re still learning new things about yourselves as musicians? Oh always. Always. Some of it is little, boring technical things, and some of it is bigger. I’m pleased with what we’ve done. We’ve changed with every record, and we’ve kept getting better at doing stuff, and we’ve played some really great gigs, and we’ve managed not to compromise very much. We’ve never had any outside influence on the music we’ve made in the studio. And we’ve managed to do that for 12 years, so if I had to be done then I’m done. And if I keep going then I can just have a whale of a time and enjoy it. That’s a really good place to be. Yeah! We were just talking about this in the van earlier and Liz – who plays in the band – and Peter were both saying they always have that feeling of thinking you might be missing out on something, and I just don’t have that. I probably shouldn’t question it too much, just in case! The critics love the new album too. In fact, we don’t think we’ve ever seen a negative review of your work. I do find myself getting in a little bit of a mood about bad reviews sometimes. It’s not like we’re going to be played on daytime Radio 1, or that we’re going to tour all around the place and build up this loyal fanbase of crazy teen fans. The people who read music magazines are the people who buy our records, I think, so it matters us in that really practical sense. And I’d like to think that people understand what we’re trying to do; that’s really gratifying. Apologies, but we’re going to have to ask you about Prince. So, how was it to hear that Prince is a Field Music fan? I don’t know that he’s a fan of our band, but he heard our song and he must have kind-of liked it and tweeted about it. And then he tweeted a link to an article I wrote about some of our favourite Prince songs as well, a week after. I’ve probably read enough about Prince to know the kind of things he would be offended by, and they are similar things to things I would be annoyed about, like if I’d written, “Prince was obviously trying to do this...” or, “Prince must have been thinking this at the time.” But I just wrote about the music and how I reacted to it. As you mentioned, Field Music has been going since 2004. How have your motivations for making music changed at that time? I’m not sure that our motivations have changed. When we made the first album we knew nothing about the music industry, or what we thought we knew was probably wrong. We made that album in an even more insular way than all the rest and were entirely prepared just to press-up a few copies and release it ourselves. And we probably thought that might be the only thing we could ever do. When we made the second album we were both in terrible moods and finished it thinking we might never do anything again because we were sick of ourselves, sick of everything. And then we found a way to come to terms with enjoying each other’s company a little bit more, realising that we can go off and do other things and refresh ourselves and come back. But the motivation to make things that we’re interested in – to make music that we would want to listen to, if we had any perspective on it at all – I think that’s the same. Is there anything that you wish you had known when you started out? Not really. The process of making mistakes and learning from them has been the best bit. I kind-of wish we’d played fewer gigs in 2010. I kind-of wish we’d realised earlier how to do DIY touring better because, on the first couple of tours we did, we were under the impression we had to do it like a real band, and we got in so much debt we didn’t pay it off until we released the third album. I wish I’d read some of my emails more closely... (Laughs) But yeah, it’s all part of the experience. And what’s the plan for the rest of 2016? A limited amount of touring and some other projects. We’re doing a collaboration with a band called Warm Digits, and with Bob Stanley, and with a film maker about Sunderland in the First World War, with a live score from the Northern Sinfonia, which we need to write at some point. So we’ll see how that goes.